For those of you who haven’t heard of this tropical hardwood before, Ipe is a tightly-grained, strong and dense hardwood that is primarily grown in Brazil. This heavy-duty wood rarely contains any knots, is resistant to fire, scratches, mildew and insect damage, which is more than we can say for typical wood building materials. Having rich color to resemble that of mahogany, this wood is an immaculate building material that has been known to last 50+ years…talk about durability! Primarily used for flooring for it’s tough-as-nails characteristics and immense beauty, there are a few forward-thinking designers implementing this material in other awesome applications. MasterPLAN Outdoor Living prides itself on innovative design, and recognizes that materials such as Ipe have a home in the landscape. For example, take a look at the cover photo for this blog. Selecting Ipe to create this deck in the Lehigh Valley was a no-brainer. The front façade of this home is stone and brick which transfers to a muted brown siding in the back. 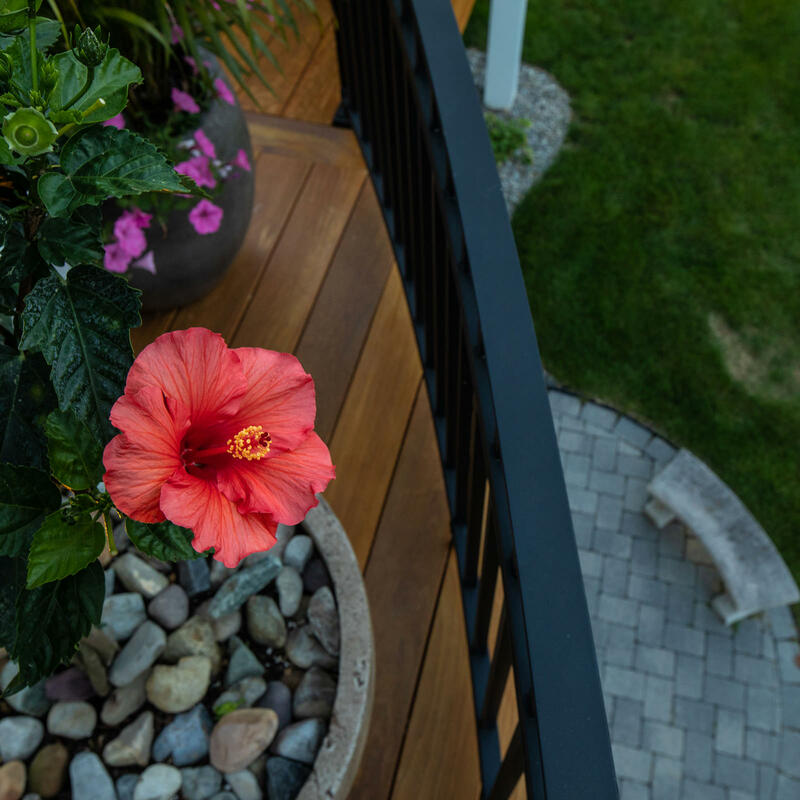 The house was calling for a more natural material for its deck space and a composite decking material just wouldn’t cut it. 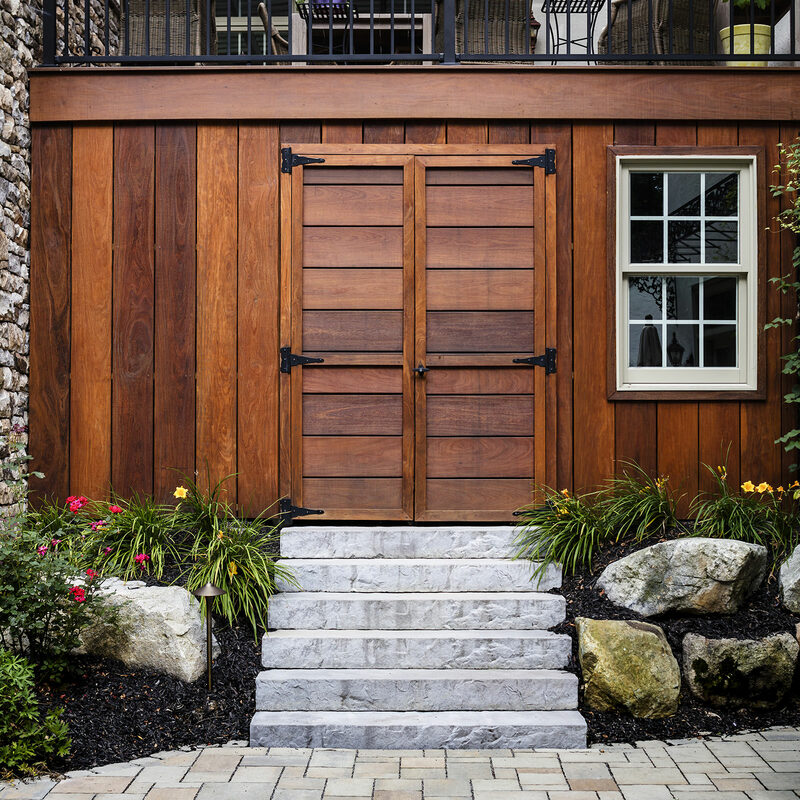 The warm wood tone of the Ipe brought the backside of this home to life. As an added bonus, the homeowner won’t have to worry about their furry family member’s claws scratching up the deck boards! Moving beyond decks, Ipe can also be used in decorative applications as well and this home in Nazareth was begging for such an item. 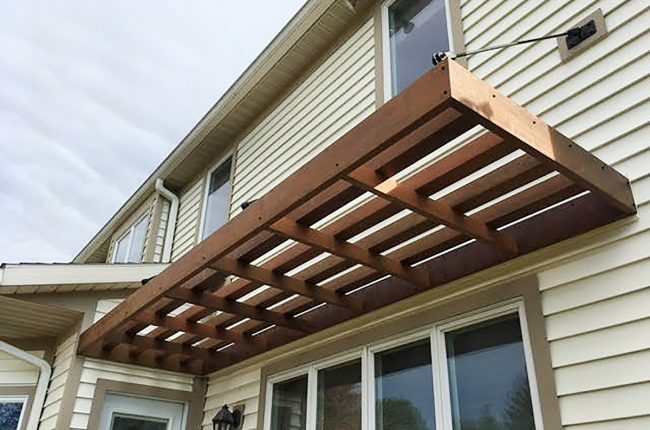 MasterPLAN collaborated with this homeowner to create this Ipe over-the-door arbor, which added that certain “something” that the homeowner felt was missing. 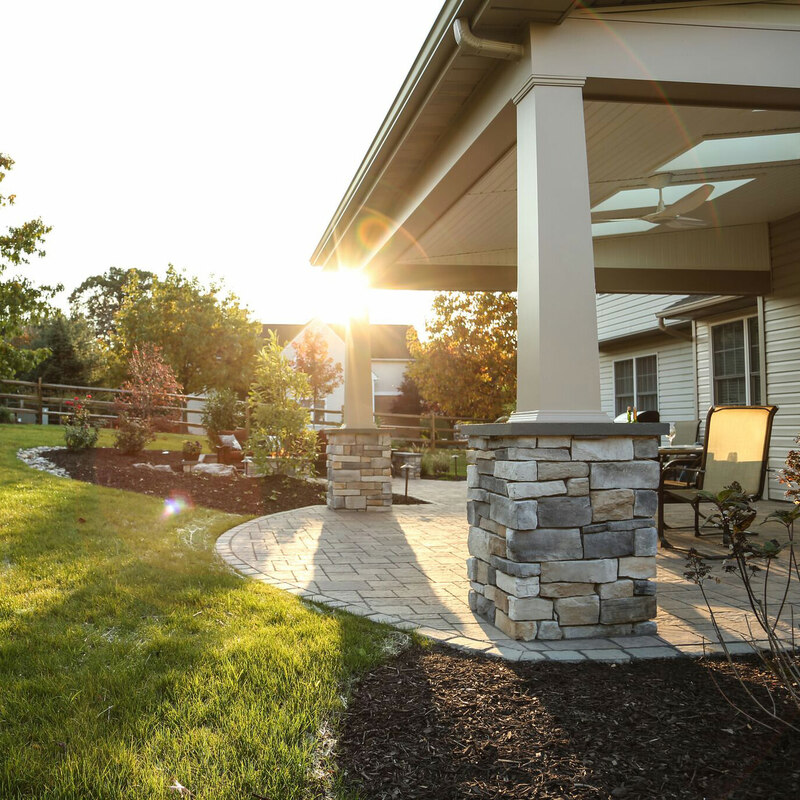 This arbor adds the only touch of wood on the house itself, giving it extra visual interest. The warm hue of the Ipe brings a sense of cohesion with the nearby hot tub and pool-side cabana as it functions to break up the sun’s rays into the house without cutting the light out completely. The steel cable rods holding the arbor in place blend into the night’s shade, giving the illusion that the arbor is floating. This decorative arbor is minimal in nature, yet really neat in design. Perhaps you are tired of looking at your old, outdated fence and have not been inspired enough to warrant an upgrade. Let us stimulate your imagination! An Ipe fence will take your backyard from uninspired to “Who did you hire?” While you may certainly install Ipe vertically to create your fence, by simply turning the boards to install horizontally will give your fence that longed-for designer look. 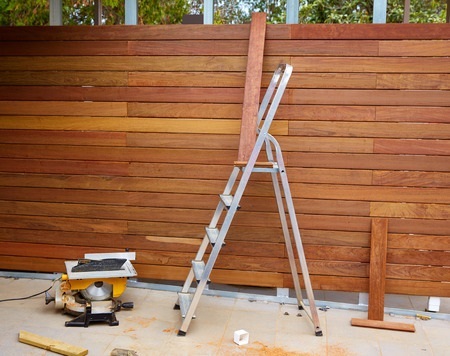 In example, take a look at this gorgeous Ipe fence in the middle of construction. While each board has its own character, the differences are actually what bring it all together. 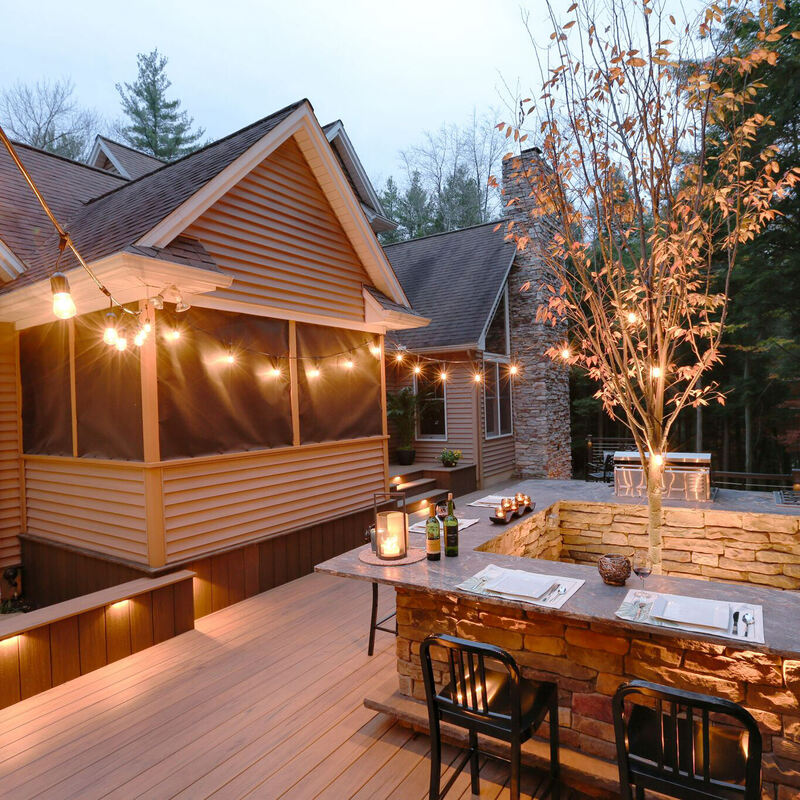 The honey-color mingled in between the medium tone and mahogany colored boards is the perfect marriage for backyard bliss. Ipe also has found a useful home in the furniture industry. Think about how many patio sets you have gone through that have been dinged, scratched, sun-faded, smashed, warped, weather-beaten…etc. While Ipe furniture is more of an initial investment, considering the durability and longevity, the hardwood sets are surprisingly cost effective. 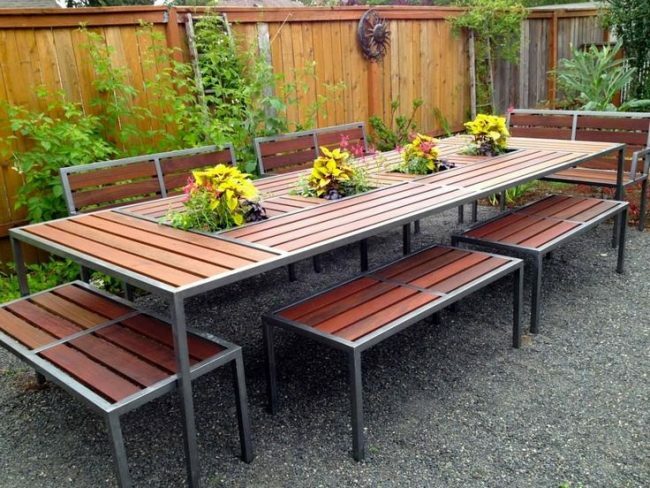 Durable and versatile outdoor furniture is a sound investment for your wallet and your outdoor enjoyment. Not having to worry about maintenance or repairs will free up your time to do what you want to do, which we are positive doesn’t include stressing over your furniture! Invest in a beautiful outdoor set, take a relaxing breath and enjoy! 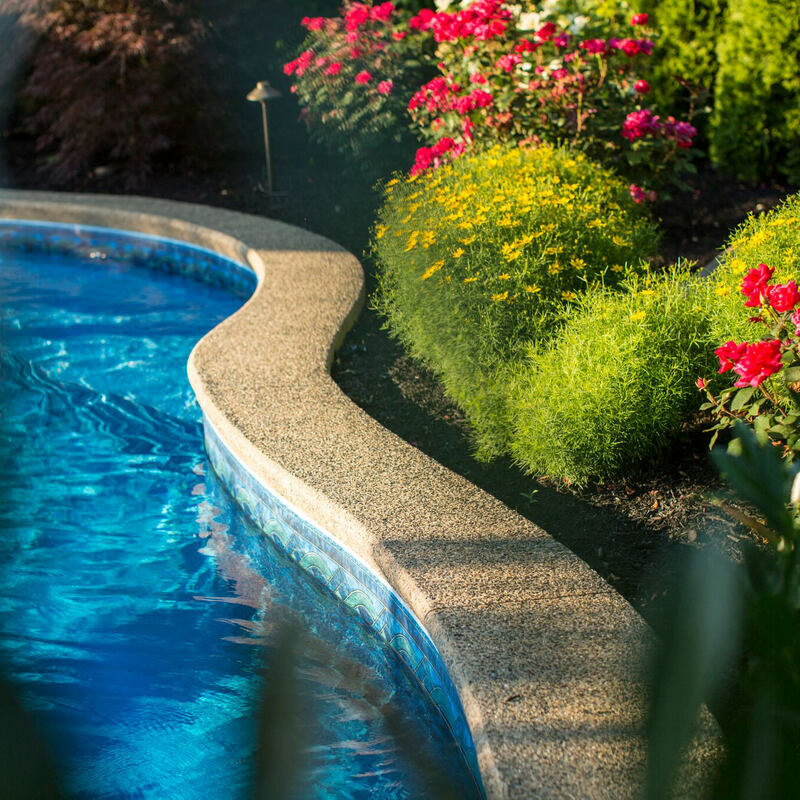 Every homeowner undoubtedly has their own personal preferences when it comes to their favorite features and materials; that is wonderful because variety is the spice of life! 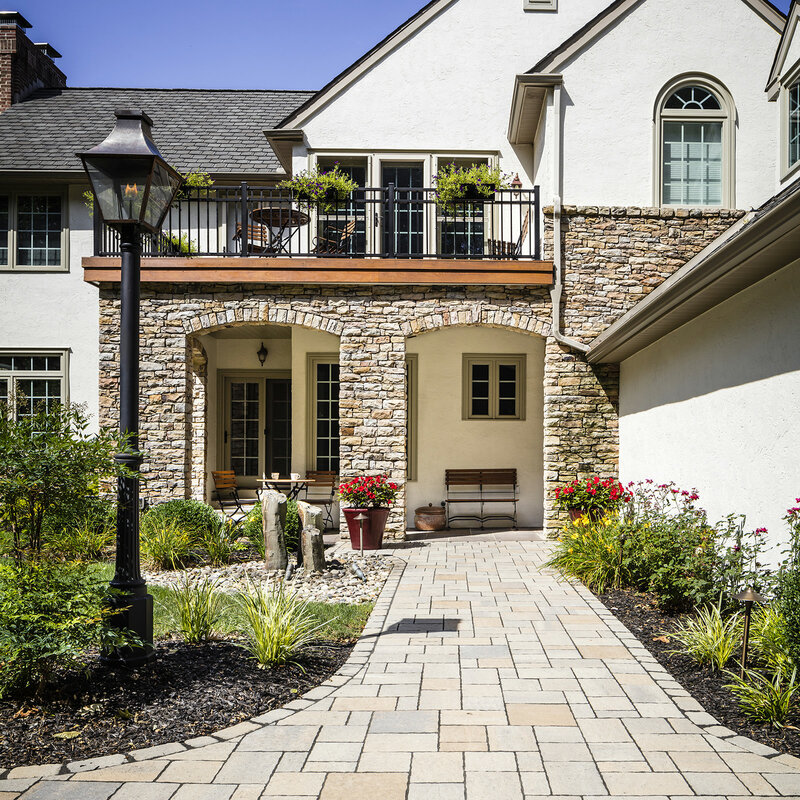 For those that love low maintenance and absolutely stunning natural building materials, you can’t go wrong with implementing stone, hardwood and metal in your outdoor living designs. These materials are timeless, transcendent and versatile; the same can be said for Ipe tropical hardwood. 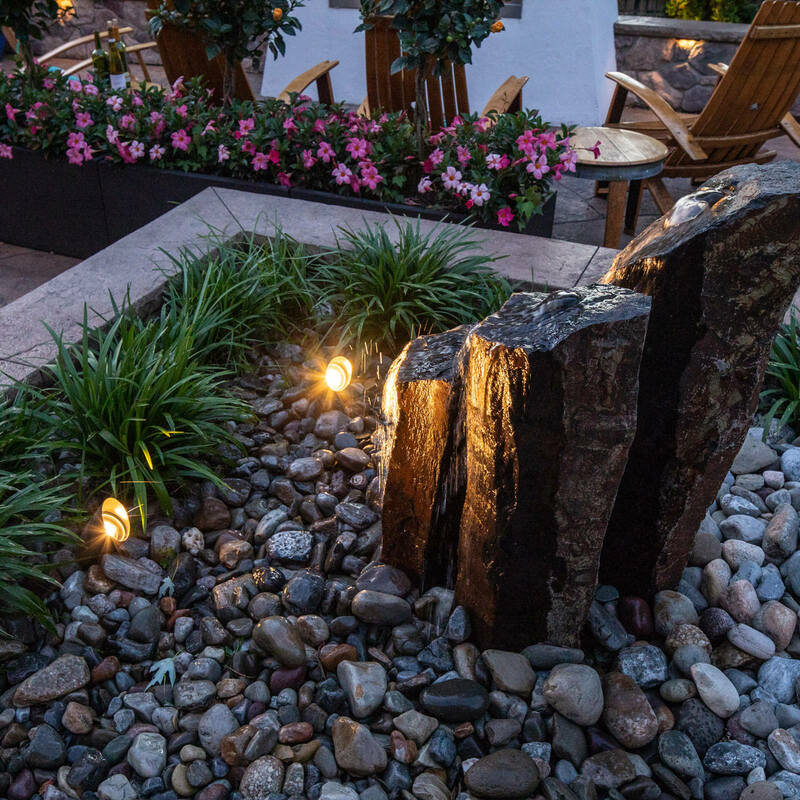 When looking to incorporate these materials in your own outdoor living spaces, be sure to contact a trusted landscape designer. Your designer will have the experience, forethought and creativity to blend your desires with a seamless and beautiful design for your space. 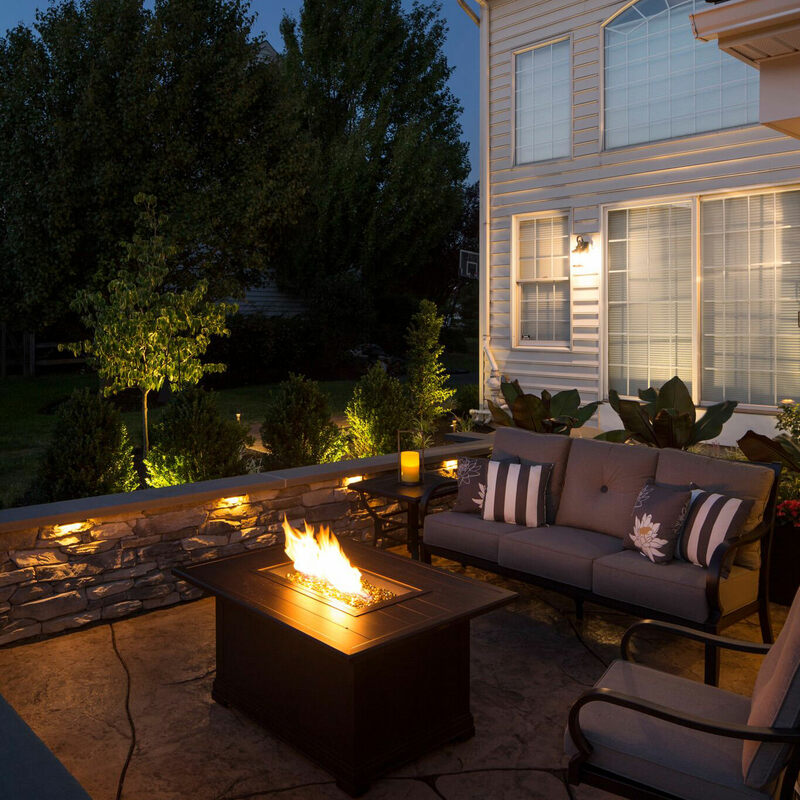 Serving the Poconos, Lehigh Valley through the Main Line of Philadelphia and western New Jersey, MasterPLAN Outdoor Living would love to be the design-build firm to help you recognize and uncover the full potential for your outdoor space. 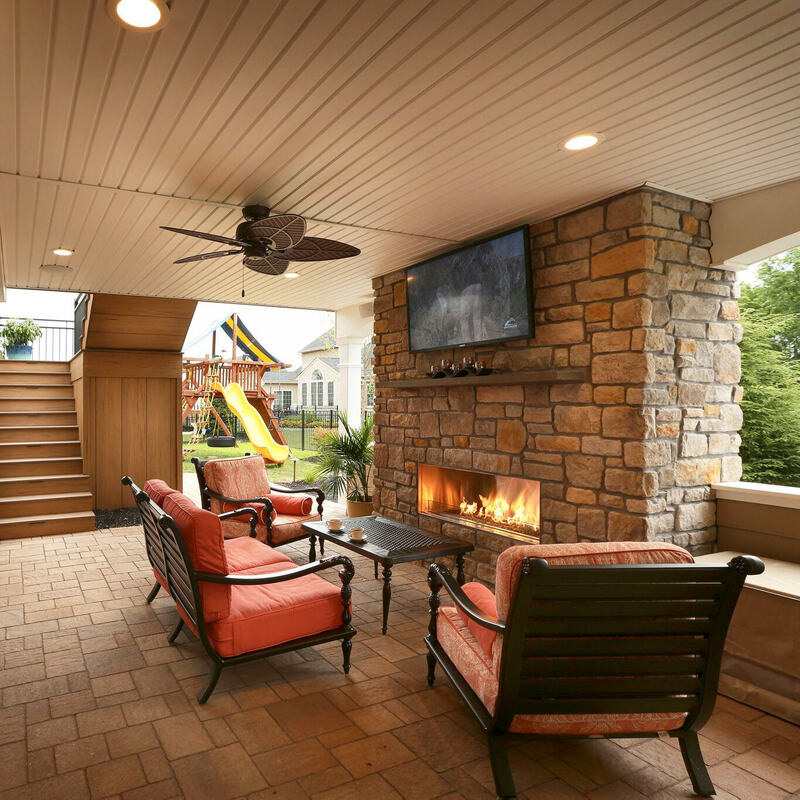 When you are ready to explore all options to custom-tailor your outdoor living space to fit your family and lifestyle, reach out to MasterPLAN. We are ready to walk alongside you in this journey!